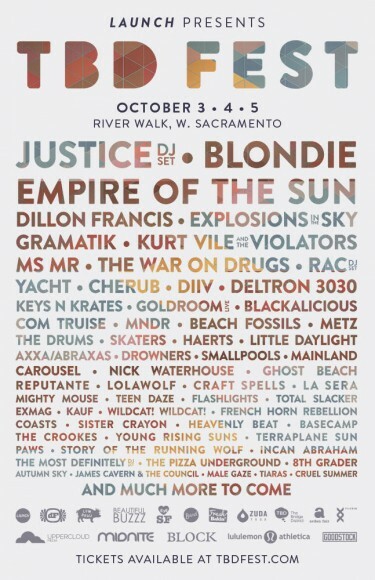 The TBD Festival, set for October 3-5 in Sacramento, has just announced its 2014 line-up, and with headliners including Blondie, Empire of the Sun, and Justice, it’s poised to be one of this festival season’s most buzzed about events. 2014 marks TBD Fest’s eighth year, and its first year as a three-day festival. This year, the line-up includes Blondie (whose frontwoman Debbie Harry recently made a surprise appearance at Coachella), Empire of the Sun, and Justice. Tickets can be purchased here, on the official TBD Fest website.